I don’t know if I have mentioned this before or if my affection for meat and Mexican food did not make it apparent enough, but I am from the South. Yes, the second greatest state in the nation, Texas. I live in NYC now and have pretty much any cuisine or culinary novelty one could ever hope for. However, sometimes there are flavors that just cannot be replicated by fancy local ice cream makers (ahem…Van Leeuween) or even the never-ending variety of Ben and Jerry’s at the bodega. So on a recent trip to Texas I mosied on down to the grocery store and parked the car as close as I could to the front door and went for the freezer section. Not only was I thrilled to see Blue Bell was on sale for $5 a half-gallon but apparently in the three years I have been away, they had come out with some amazing new flavors. You will not find these in a NYC bodega; Lemon Ice Box Pie, Delta Blues, Candy Jar and Southern Blackberry Cobbler to name a few. 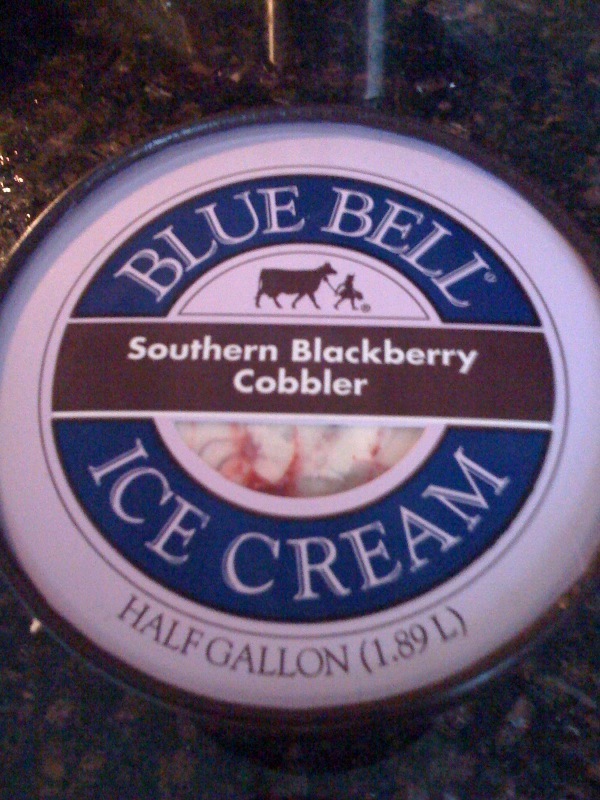 Considering cobbler and Blue Bell are two things I can’t get in NY, I went for the Souther Black Berry Cobbler. While not enough to make me move back to Texas, it was pretty damn close. 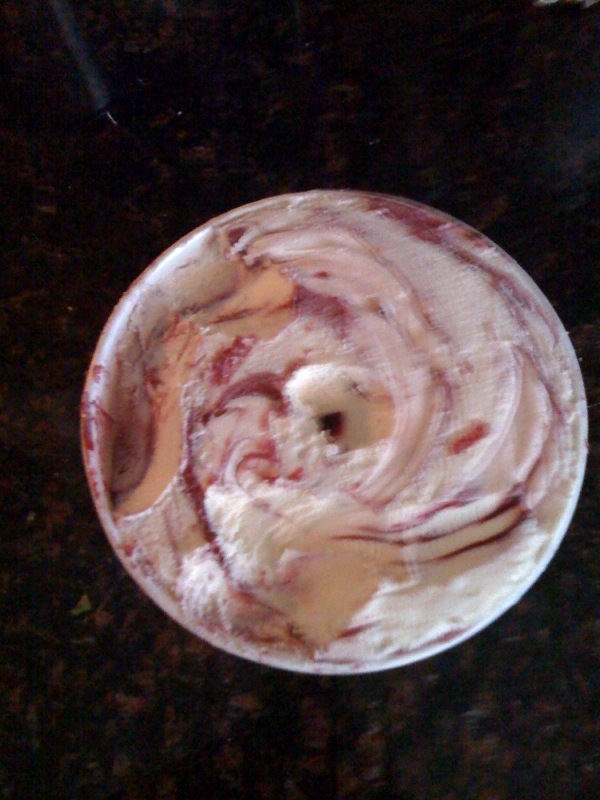 There were big luscious swirls of black berry with chunks of shortbread like crusted nestled in the perfectly, simple ice cream. Heaven. Too bad my flight was the next day and I did not even get close to finishing it. Please let me know if there are any new flavors or old hidden classics I should know about next time I am in town. Or better yet, if you live in NY let me know of any Blue Bell source and a great substitute. This entry was posted on February 25, 2010 at 11:29 pm and is filed under Uncategorized. You can follow any responses to this entry through the RSS 2.0 feed. You can leave a response, or trackback from your own site.